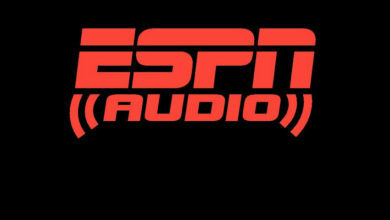 ESPN New York 98.7FM to Host Annual Fantasy Football Convention; Fans Invited to Hold Their League Drafts - ESPN Press Room U.S.
On Sunday, Aug. 27, ESPN New York 98.7FM will host its annual Fantasy Football Convention at 12 p.m. at Resorts World Casino in Queens, N.Y., where fans are welcome to attend the all-star panel discussion. ESPN’s senior fantasy sports analyst, Matthew Berry, will headline the expert group which also features ESPN’s Stephania Bell and Mike Clay, plus 98.7FM’s Rick DiPietro, Chris Canty, Dave Rothenberg, Anita Marks and Alan Hahn. The group will offer coveted fantasy football advice to fans in attendance and create a mock draft for the upcoming NFL season. Fans are invited bring their league draft on-site. Fans can purchase special draft tables which are equipped with Wi-Fi, ESPN draft cheat sheets, a draft board and player stickers. Ticket purchasing can be on 987Fantasy.com.“I’ve been attending the ESPN New York 98.7FM Fantasy Football Convention for years and it has been great spending time with fans while also getting ready for the Fantasy Football Season. I look forward to being out there again on Sunday for this event which gets bigger and bigger every year,” said Berry.